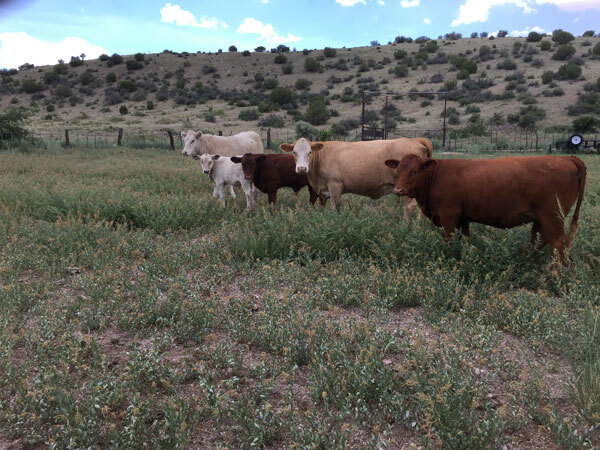 We avoid referring to ourselves as “ranchers,” rather we prefer “ranch owners” because there is a clear difference between a “cowman” and retirees using a historic cattle ranch for restoration, wildlife and carbon sequestration. Our goal is to encourage others to do the same. This is fundamentally a “restoration ranch” or demonstration project in hopes of not only restoring and promoting healthy habitat but of showing others how easy this is and how everyone can adopt these restoration practices on land of any size. That said, we have run as many as 40 head and as few as four. There is a good deal to be said about grass fed and grass finished cattle. Unlike stockyard or feedlot cattle, grass-fed cows that live on the range — without hormones or growth-promoting additives — and eat only grass grown there provide beef that is different. Compared with feedlot beef, meat from grass-fed cattle has less total fat, saturated fat, cholesterol, and calories. It also has more vitamin E, beta-carotene, vitamin C, and a number of health-promoting fats, including omega-3 fatty acids and conjugated linoleic acids. They are stress free and free roaming. 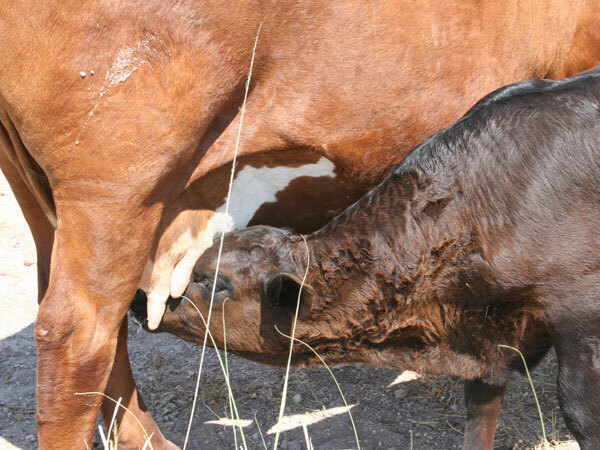 While cattle are unavoidably hard on the land, when few in number and rotated regularly, the damage is minimized. C.R. Dahlen, Beef Cattle Specialist, and C.L. Stoltenow, veterinarian, write, “Animals with dark hides are at a higher risk of suffering heat stress and dying.” A 1999 Mississippi State University of Veterinary Medicine study found that black cows may absorb more than twice the solar radiation than white cows; another study found that cows with white hair coat absorb about 66 percent of shortwave radiation compared to 89 percent absorption for predominately black-hair coat colors and still others suggest that white cows are 15 degrees cooler that black cattle. 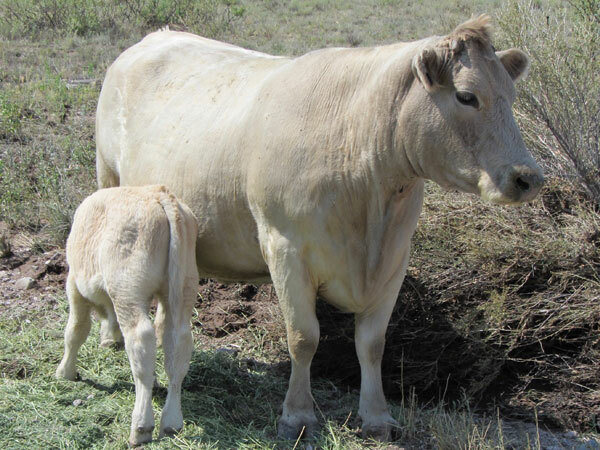 United States Scientists Dr. James West and Dr. Warren Gill have announced they will have a white Angus close to a commercial reality that will produce white calves — with a “far greater heat tolerance capacity” — by early 2017. A startup in the U.S. called AgGenetics is using modern biotechnology techniques developed for human medicine to remedy the heat absorption shortcomings of the traditional Black Angus. This company states that its new technology is protected by more than two dozen patent applications that will allow the replacement of the black coat normally found in Angus cattle with white-hair coat colors and add approximately 15 degrees of heat tolerance in Angus. 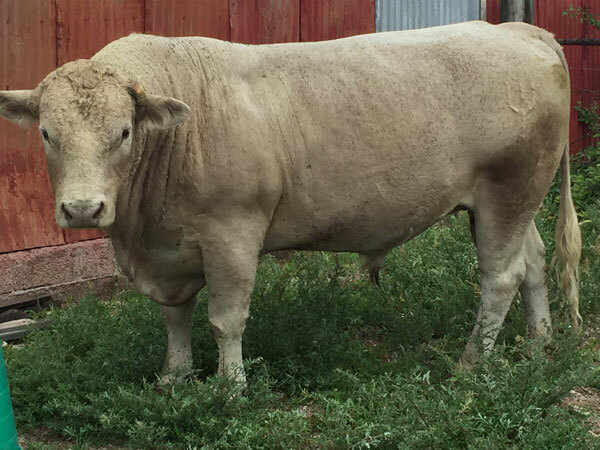 We are unlikely to commit to the expense of a white Angus bull because our herd is so small, but it does confirm that narrowing the herd to Charolais will be helpful. The change will be one of the many kinds of adjustments we’ll all be making to adapt to this new normal of the ever hotter and dryer planet.